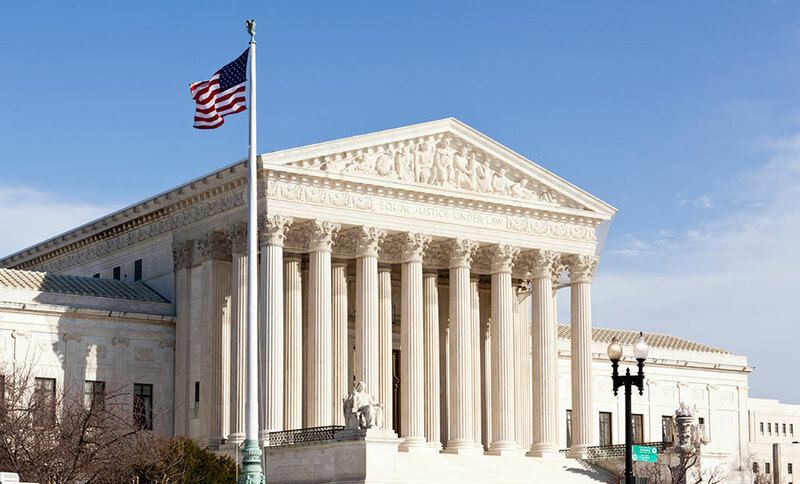 Washington D.C. – The divided Supreme Court’s decision on Tuesday, related to the payment of mandatory fees to public unions from workers who are not part of it, has left a temporal victory for the organized groups. The 4-4 split leaves the decision open and the previous law in function. Due to the long-time conservative Justice’s death, Antonin Scalia, the Supreme Court has an 8-seat court likely to result in deadlocks such as the recent one, and the reason is the court is left divided into four conservatives and four liberals. “The death of Justice Scalia has proved a disaster for public sector workers who have their paychecks raided by unions,” commented Iain Murray, vice president for strategy at the Competitive Enterprise Institute, a Washington-based conservative institution. The case was brought by 10 teachers from California who argued their payment to the union, an entity they were not part of or have any intention to be, was unconstitutional and violated the First Amendment. Justice Scalia had shown hostility to the union’s side, as reported by the New York Times. A positive ruling for non-union teachers would have meant significant losses to the organized groups, financially and political ones. The ruling would have affected millions of government workers and weakened the entities by losing important amounts of incomes. Union members like Lily Eskelsen Garcia, president of the National Education Association teachers union, assured that the U.S. Supreme Court rejected a political ploy to silence public employees like teachers, school bus drivers, cafeteria workers and others, to work together to shape their profession. The organized institutions representatives also argued in front of the court that a positive ruling for the plaintiff would give employees less incentive to join public-sector unions as they would perceive the benefits of collective bargaining without having to pay for it. The divided court is thought to be hitting dead ends at least until the end of the turn. The union-fees case was not the first to represent such strong and opposite opinions, just last week the court also had a 4-4 split over a loan discrimination case. Last month, Justice Scalia’s death was cited as the reason to settle a class action pending of $825 from Dow Chemical Co. The deceased was seen as a reliable vote for class actions defendants. Still remains unknown whether another conservative will replace Scalia as Senate Republicans vowed to block confirmation of President Barack Obama’s nominee, centrist appellate, judge Merrick Garland. Republicans show worries that the court will be tilt to the left for the first time in years with his arrival to Scalia’s seat. Nintendo set to release Miimoto in the U.S.